We are writing The Book of Garlic — with your help, of course! Do you have garlic-related recipes, stories, photos, art or Garlic and Arts Festival history or memories? Please send them to us so we can compile a beautiful book. You can be in it! 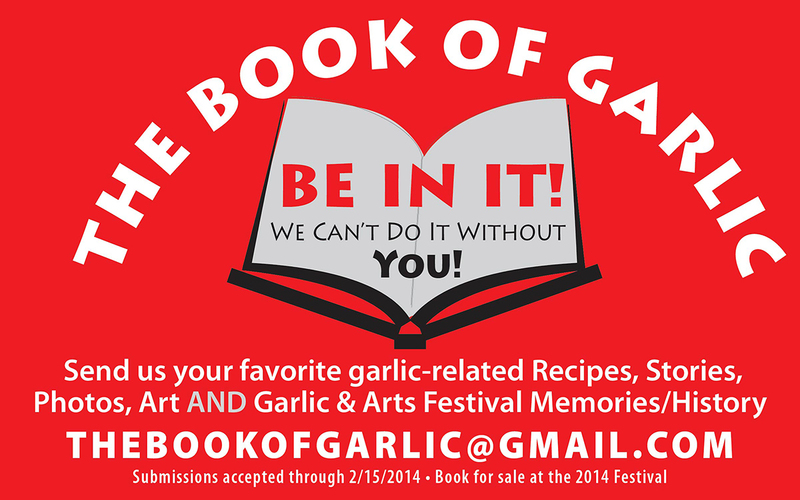 Submissions ma y be sent to thebookofgarlic@gmail.com. They will be accepted through February 15, 2014, but don’t wait until then. The book will be available at next year’s festival.